A 5 star review of Cactus Jungle by brenda b.
That’s a lot of Anigozanthos in that front yard alongside a blue Agave. They sure do bloom a lot. Ironically I just got back from Australia and didn’t see any in bloom there. Just here in Berkeley. I’ve been out of touch but here you go with some nice South African Ice Plants. Delosperma “Moonstone” has the pretty white flowers. Like a Moonstone! I don’t really know what a Moonstone is so I don’t really know. But sure! Delosperma nubigenum is pretty even when it’s not in bloom! But those blooms…. When you see them…. It’s right in front of Cactus Jungle! Rikki’s looking after the dogs and Jason apparently finds it hard to get comfortable when we’re away. Hahaha! New filters from Snapseed, new camera from Canon. Happy holidays! Pachypodiums grow big and tall and spiny all over, and then we get to deliver them! Here you can see the crew preparing this 10 foot tall Pachypodium for delivery to Stinson Beach. It may not be a cactus (Cactaceae), since it’s in the dogbane family instead (Apocynaceae) but you get the idea. It is however a Madagascar Palm, and it is very spiny underneath all the wrapping paper. Jungle Cactus are some of the best winter cactus around. Along with the classic Christmas Cactus we have here a beautiful Mistletoe Cactus. Hanging epiphytic jungle cactus from Brazil, pendant to 6ft long. Not frost hardy, but will grow well in the Bay Area outside under an eave or porch overhang. Cactus Jungle is happy to launch our new workshops with a Terrarium Class! Sign up and learn how to make you very own. We provide all the materials you need: tools, terrarium glass containers, plants, media and decorative additions including all your favorite mini animals. We will help you design and build while you learn how to take care of your own miniature environment. 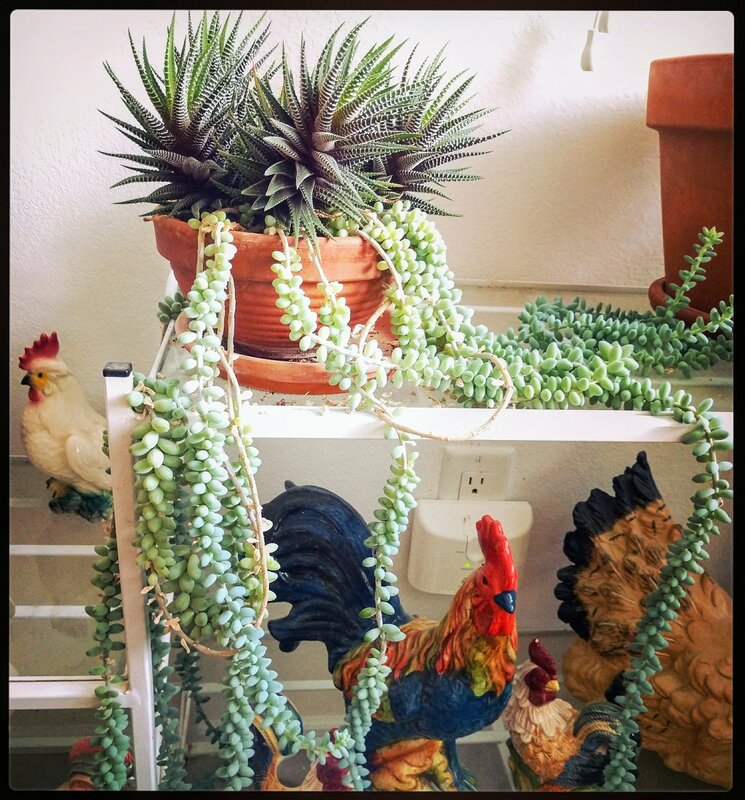 You can choose between a Succulent or Airplant theme. Space is limited to 10 people for each class. Only $35 for a 9” Terrarium and everything is included. Our first classes this year will be December 7 and December 21, 10:00am. You can reserve your spot online – each class is limited to 10 people! Amica came to visit for Thanksgiving! Benjamin was very happy to see his sister. Amica now lives with a cat, Mister Cat, and Jen shared this photo with me so you could enjoy it too! Jaxx visited too, but he’s not in the picture. Rare stapeliad were growing. Not ready yet! But already blooming, so here’s you preview photo. Oh yeah, it’s a Caralluma baldrati. Nice flower! Lola on 9th St in Berkeley has little succulent pots hanging out at the side door. It begins. 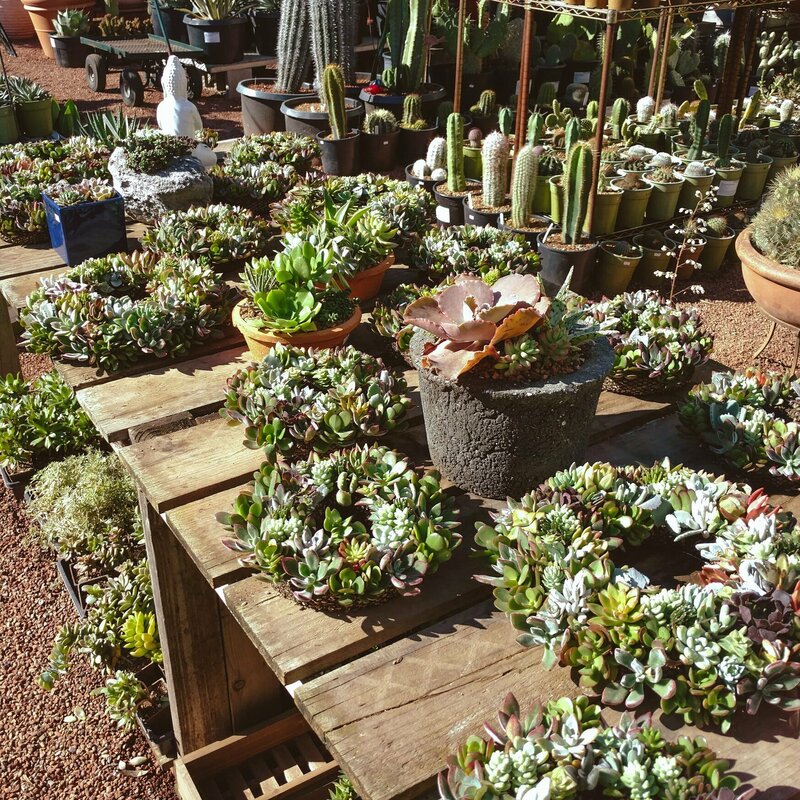 Succulent Wreath Season. The Rare Barrel brews beers, especially sour beers, which seems to be the latest craze. But here we see they put some succulents in a barrel instead. Delicious! And a bonus Daisy photo!